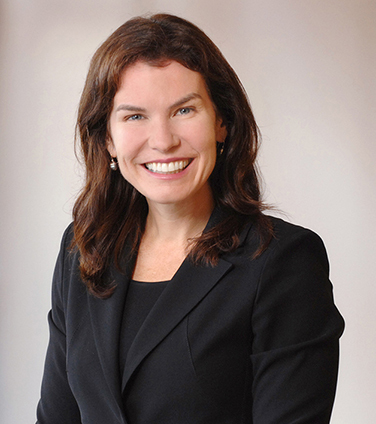 Michelle is a Senior Partner of Osler's highly regarded Competition Law and Foreign Investment group. She has over 25 years of extensive experience in all aspects of competition law and foreign investment review, including mergers & acquisitions, strategic alliances, price ﬁxing & bid-rigging investigations and pricing and distribution matters. Michelle has successfully obtained the clearances under the Competition Act, the Investment Canada Act and the Canada Transportation Act of numerous complex domestic, cross-border and international transactions. She regularly represents parties facing civil investigations by the Competition Bureau or civil cases before the Competition Tribunal relating to the application of the abuse of dominance, price maintenance, refusal to supply, tied selling and exclusive dealing provisions of the Competition Act. As part of providing strategic competition law counselling and compliance advice, Michelle often designs and conducts internal antitrust audits/investigations for clients. She also assists immunity/leniency applicants and targets of domestic and multinational conspiracy & bid-rigging investigations in their dealings with the Criminal Branch of the Competition Bureau and the Department of Public Prosecutions. Special Committee of Goldcorp in its US$10 billion acquisition by Newmont Mining. Constellation Brands in its $5.1 billion strategic investment in and partnership with Canopy Growth Corporation. BlackRock Asset Management Canada Limited in connection with its strategic alliance with RBC Global Asset Management Inc. to create a combined $60 billion ETF solution suite under the RBC iShares brand. Nasdaq, Inc. in connection with the sale of its Public Relations Solutions and Digital Media Services Businesses to West Corporation for approximately US$335 million. L Brands with its sale of the La Senza business to Regent L.
Corbeil Électrique Inc. in connection with the sale of substantially all of its business and assets to AM-CAM Électroménagers Inc.
S.L.H. Transport Inc. and its affiliates in connection with the sale of its business to C.A.T. Inc.
A leading generic drug manufacturer in connection with the Competition Bureau’s investigation relating to policies or practices of certain branded drug manufacturers. South32 in its announced $2.1 billion acquisition of Arizona Mining. Mitel Networks Corporation in its sale to affiliates of Searchlight Capital Partners for US$2 billion. Chemtrade Logistics Income Fund in its take-over bid of Canexus Corporation. Microsoft Corporation in connection with its US$26.2 billion acquisition of LinkedIn Corporation and LinkedIn Corporation in respect of Canadian Competition Act advice and services. Office Depot Inc., in its US$1 billion acquisition of THL Portfolio Holdings Corp., the parent company of CompuCom Systems, Inc.
Royal Bank of Canada in defending RBC in a $1.05 billion class action alleging conspiracy to fix foreign exchanges prices. Whistler Blackcomb Holdings Inc. in its $1.4 billion acquisition by Vail Resorts. TELUS Corporation in connection with its acquisition of Manitoba assets from Bell upon closing of the Bell-MTS transaction. ...a "fantastic resource for competition law,"
..."is excellent in navigating complex regulatory situations. She's strategic but also practical and understands business."